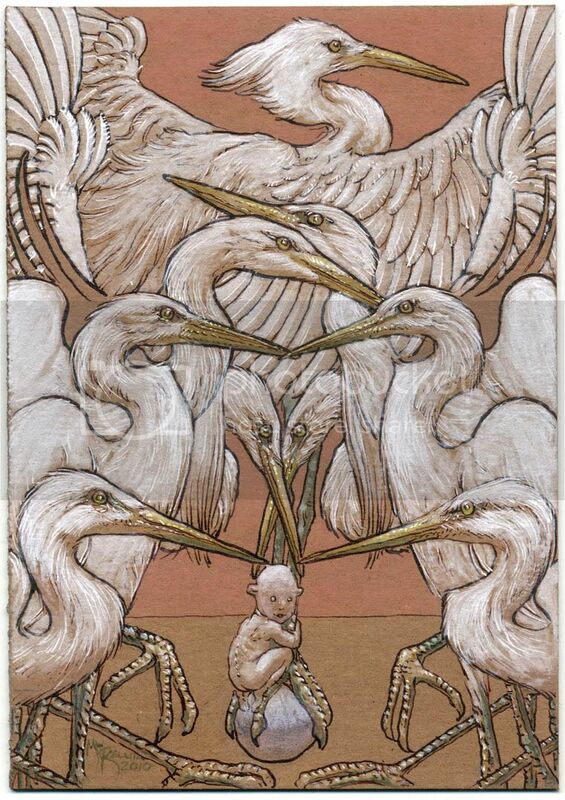 Okay, who called Michael Kaluta and told him I have a thing for cranes? It’s true. I love cranes and herons, and pictures of cranes and herons. And I love the ballet of necks and beaks in this drawing. Michael, a huge thanks to you, good sir! Like the rest, it’ll be a heartbreak to send it away. Herons and cranes are some of my favorites too and I love this piece!